The James River near City Point, Virginia has been identified as the location of numerous shipwrecks. 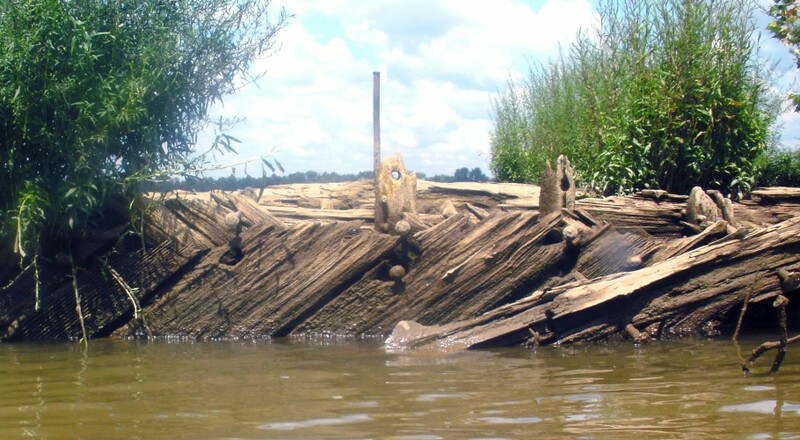 A ship graveyard at the junction of the Appomattox and James rivers is mentioned by modern historian Kevin Foster, who noted that ships were abandoned in this area “since the Civil War era.” He identified “[s]idewheel ferries, three-masted schooners, and at least one large wooden ship or bark” from aerial photographs. While the history of City Point began as early as 1635 when land was granted to Captain Francis Eppes (Horning 2004), two key events likely contributed to the wreck assemblage in the river. During the Civil War, City Point was a staging area for the Union Army during the siege of Petersburg, and as well as the location of a Confederate sabotage attempt that destroyed three vessels and a number of buildings along the shoreline. During World War I, the E. I. Du Pont de Nemours Company built and operated a large cotton gin plant at City Point due, in part, to the deep-water port at that location. The company quickly shut down operations after the war. 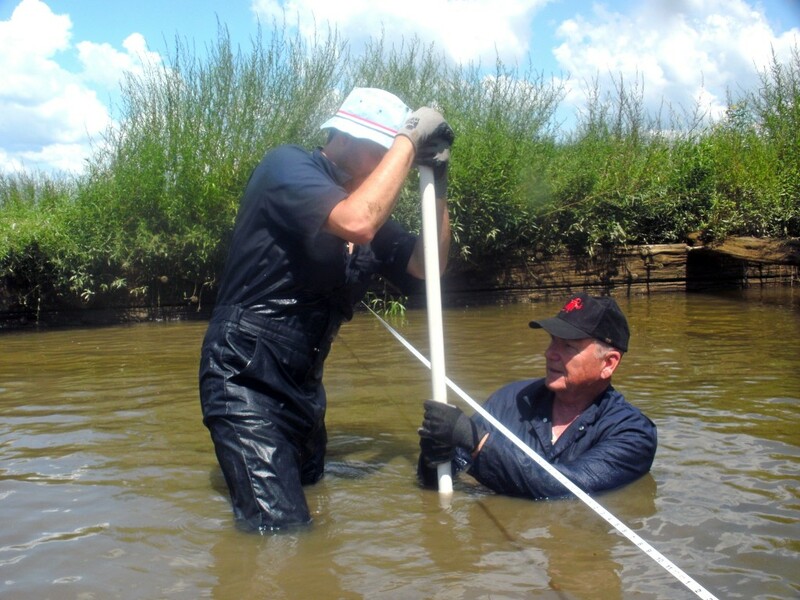 On 11 and 12 August 2011, personnel from the Institute for International Maritime Research, including project director Joshua Daniel and archaeologists Dr. Gordon Watts and Dr. John Broadwater, conducted a sidescan sonar survey of the James River near City Point. Preliminary analysis of the data collected during the survey tentatively identified 37 wrecks. Based on construction details observed at low tide, it appears a number of these vessels could be steam freighters built for the Emergency Fleet Corporation during World War I. Further research at the U.S. National Archives and more in-depth archaeological study should shed light on the identification and construction details of these vessels. The detailed results of this remote-sensing survey will be published in a forthcoming issue of the INA Annual. ABOVE: Archaeologists probe the sediment during survey (Photo: INA).